Volume 3 of The Churchill Documents covers the years 1901 to 1907 and serves as the first companion volume to the second volume of the official biography, Young Statesman, 1901-1914. The correspondence in this volume shows a young man in a hurry, but with strong convictions and clear abilities, one determined to make his mark on the national stage. Writings mine a rich seam of correspondence, which include the first speech that Churchill made in the House of Commons, his activities as a new Member of Parliament—his determination to fight for the maintenance of Free Trade within the Conservative Party and his failure to do so—culminating in his decision to leave the Conservative Party and join the opposition Liberal Party, for whom he helped fight a successful election. The second letter, which rightfully belongs in Volume 2, was only found after that volume had been printed. It contains Churchill’s fullest recorded reflections on religion. During this period he also wrote a two-volume biography of his father. 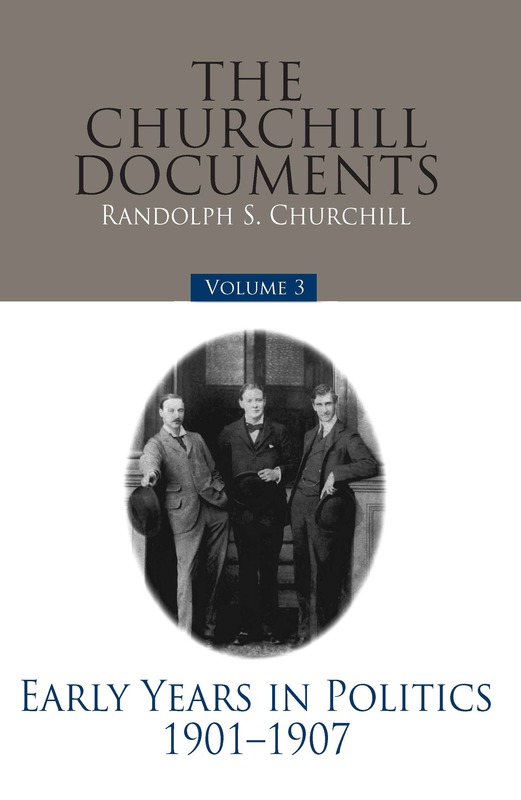 In addition to the Churchill Papers, this volume contains letters from the archives of those to whom Churchill wrote, and from the archives of the published his book, Lord Randolph Churchill. It includes Churchill’s letters to his mother, letters that range over every aspect of his public and private life.